The trails next to the Visitors’ Centre are well marked. On average, it takes 40 minutes to complete the 3 km trail and one hour for the 5 km trail. 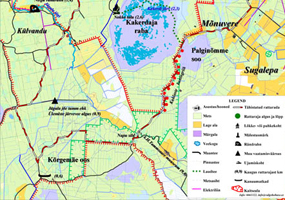 The cycling trail goes around Valgehobusemäe and Kakerdaja Bog. There is a water obstacle on the trail, which can also be crossed without getting wet. 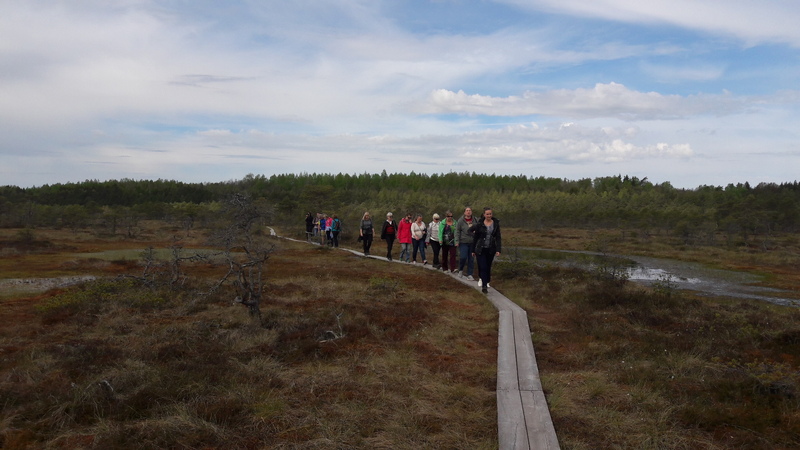 At the 40 km point, cyclists can visit the bog along a boardwalk. 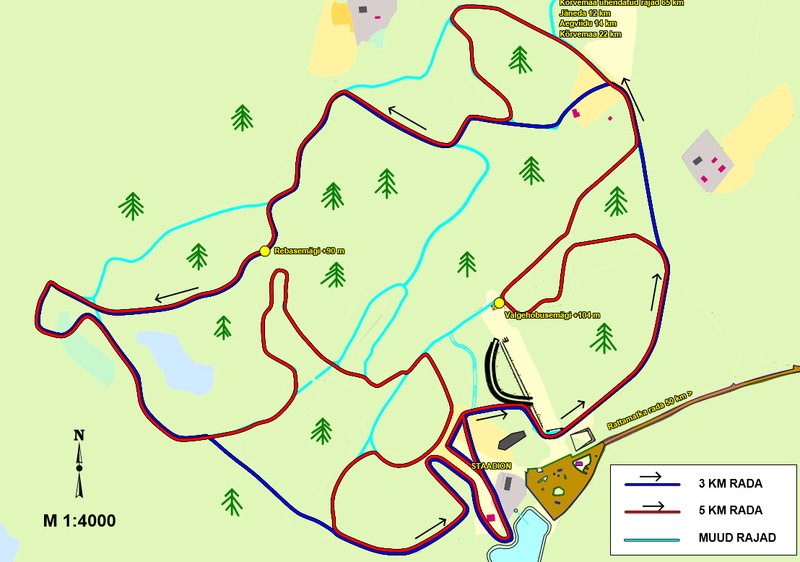 The course can be completed in about 4 to 5 hours at a moderate cycling pace. The trail is well marked, but someone in the group should take along a map of the trail before setting out. Food and drink must be taken along, since there is no food store on the trail. Total length of the trail is 65 km. 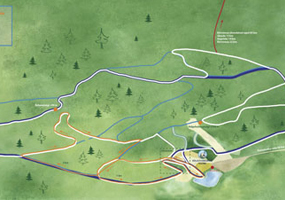 Visits can be made to Jäneda, Aegviidu, Nelijärve and Kõrve hiking and ski centres. 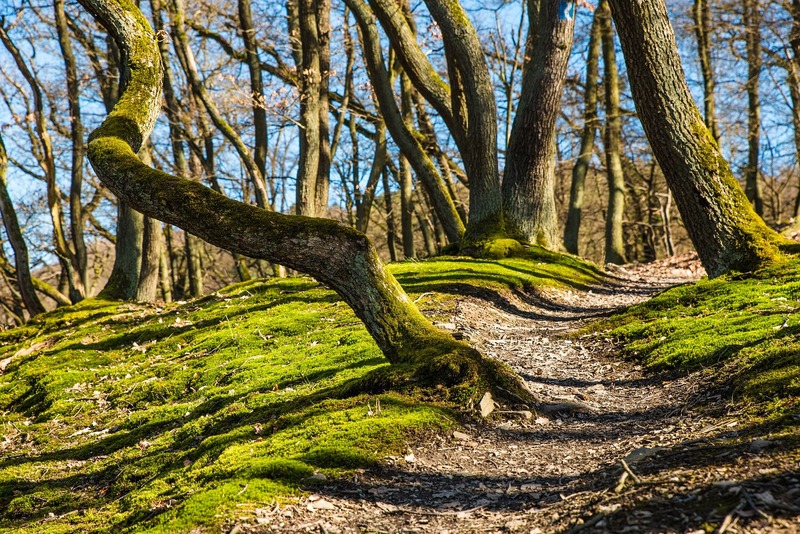 The trails can be covered on foot or by cross-country bicycle. Depending on the destination, the round-trip distances are between 22 km and 44 km. Approximate trail times are one to six hours.